We all know that sleep is very important. We need our body to get enough rest so that we can maintain physical and mental health. Sleeping helps our brain function optimally: it improves our learning, our ability to concentrate, and our decision-making skills. Sleeping well affects our quality of life. If sleep is extremely important for adults, you can imagine how important it is for babies! When a baby sleeps, he saves energy, allowing him to gain weight faster and have a healthy development. Also, his organs mature and his immune system grows stronger to protect him from diseases and infections. When he’s asleep, your baby’s body releases a growth hormone, which helps him to keep growing. Finally, sleeping helps increase your little one’s appetite, so he can eat well and get the nutrients needed for a proper development. It’s important to remember that babies don’t sleep like us: they sleep for brief moments at a time and constantly wake up to eat. During the first few months, babies usually eat 8-12 times a day, causing the frequent wake ups. Their sleep cycles are different from ours, allowing them to sleep for few hours, but deeply. According to the National Sleep Foundation, the ideal sleeping range for babies that are 0-3 months old is 14-17 hours a day. 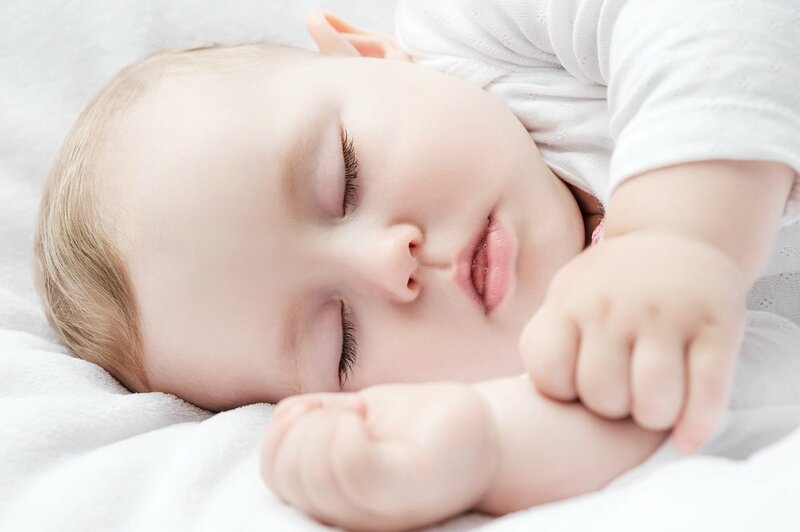 Some babies may sleep less, between 11-13 hours, while others sleep up to 19 hours a day. However, going above or below the range of 11 to 19 hours is not recommended. Sleeping less than recommended deprives their bodies of rest and the benefits provided by sleep, and, on the other hand, sleeping too much doesn’t allow them to get the proper food and stimulation needed in a day. My baby doesn’t wake up to eat during the night!